South Africa sprint star Wayde van Niekerk stormed to 400 metres World Championship gold to defend his title. The 25-year-old took his second world crown in 43.98 seconds, finishing ahead of Steven Gardiner and Abdalelah Haroun in London on Tuesday. 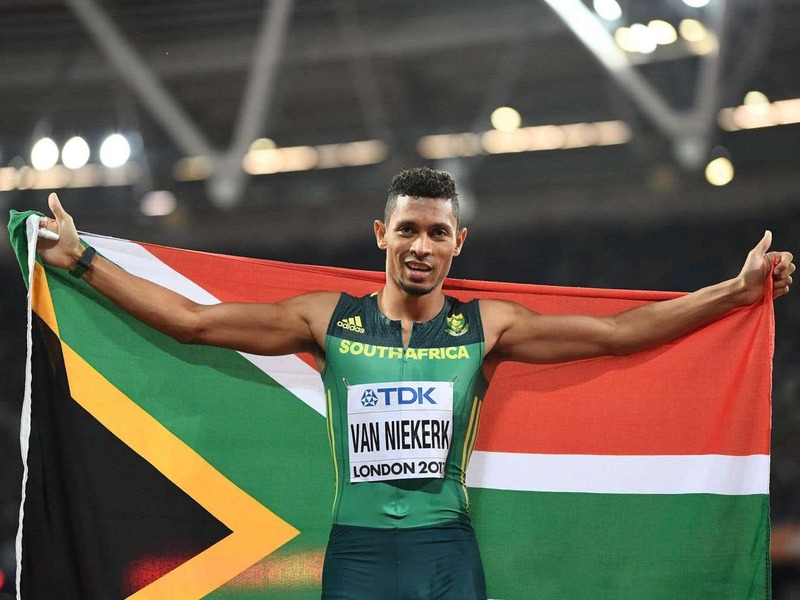 Van Niekerk was so comfortable he even slowed down as he approached the line as he added to his Olympic title from Rio and will now target the 200m. 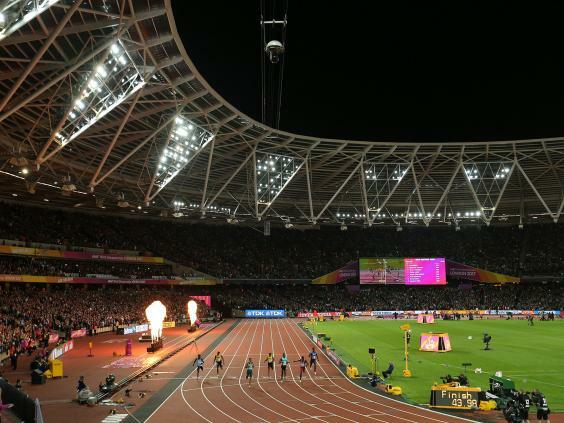 But Botswana’s Isaac Makwala – a leading challenger to Van Niekerk – was controversially denied entry to the London Stadium despite insisting he was fit after an outbreak of the norovirus bug. 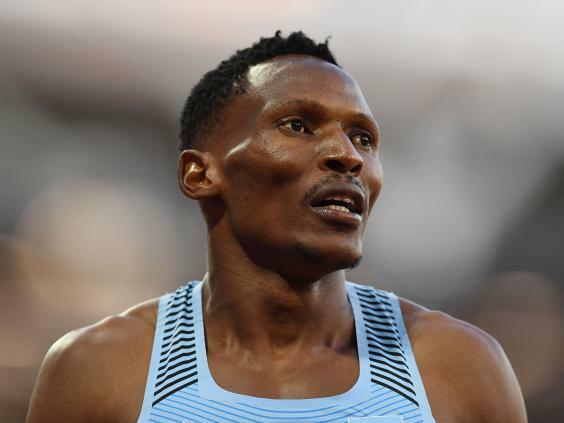 The 30-year-old, who was also pulled out of the 200m heats on Monday, was withdrawn by organisers the IAAF “due to a medical condition” while Botswana insisted they were given no reason for Makwala being denied entry. Without Makwala, Van Niekerk was never challenged, with Gardiner of the Bahamas almost half a second behind in 44.41 secs and Haroun third in 44.48s. Meanwhile, Pierre-Ambroise Bosse took gold in the men’s 800m in one minute 44.67 seconds, ahead of Poland’s Adam Kszczot and Kipyegon Bett in third. The Czech Republic’s Barbora Spotakova also took the javelin title ahead of Lingwei Li after throwing 66.76m to regain the crown 10 years after first winning it in Osaka. The double Olympic champion, who won at London 2012, said: “At this stadium, I am unbeatable. There must be something in the air about London. “I cannot explain it but when I enter this stadium, I always feel so calm and relaxed. I believed I could really win it today, I was so focused and confident. Conseslus Kipruto also claimed the 3,000m steeplechase crown ahead of Soufiane Elbakkali and the USA’s Evan Jager. Kenya’s Kipruto clocked eight minutes 14.12 seconds with Elbakkali less than half a second behind. 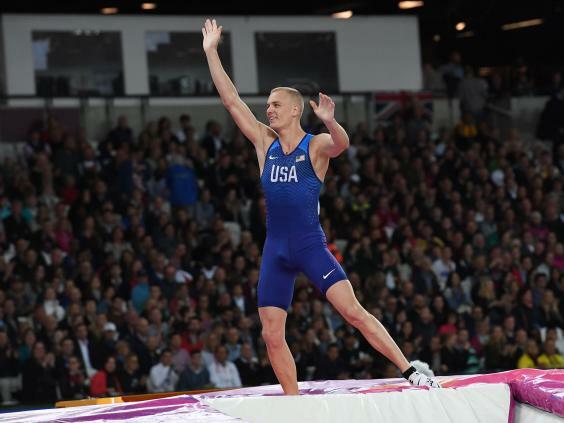 American Sam Kendrick’s took gold in the pole vault with a height of 5.95m, ahead of Poland’s Piotr Lisek and France’s Renaud Lavillenie. Schippers said: “I felt really good. It was an easy race so glad to get it done. The event was missing the USA’s Tori Bowie who was still recovering from the fall she suffered while winning the 100m on Sunday. In the women’s shot put, Lijiao Gong of China topped qualification for the final with 18.97m with the USA’s Michelle Carter five centimetres behind her.